Electricity prices are increasing and from Melbourne to Moe and beyond, Victorians are looking to burn a hole in their electricity bills by creating their own energy through the power of the sun. Solar power Melbourne style is the new fashion. You can even get black solar panels these days! Through the Renewable Energy Target scheme (RET), the Federal Government subsidises the cost of solar power systems according to the energy generated. Energy Matters incorporates the value of these solar credits by providing a discount on the solar panel system you purchase. The amount of discount is dependent on the output of the system purchased. However, it’s important to understand with the Renewable Energy Target currently under review; pending outcome of the review, the amount of support could decrease – so now is a great time to lock in the incentives. You will receive at least 7 cents per kilowatt hour surplus power produced that is exported into the grid. Some retailers may offer more. A penny saved is a penny earned they say – and solar can save you much more than that; making it one of Australia’s best investments in terms of internal rate of return. Across Victoria’s five distribution areas and depending on the retailer, electricity prices jumped between 8.2 and 14.8% over the 2012/2013 financial year. Prior to that, between June 2007 and June 2012, the price of electricity in Melbourne increased by 84%. Looking ahead, there’s more pain at the power point, with electricity bills expected to increase by a further 21 per cent, or about $300 a year. 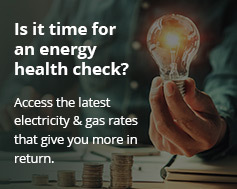 Victorians have experienced unprecedented electricity price rises in recent history, which is set to continue for the foreseeable future. Couple this with Energy Matters’ lowest ever prices on world-leading brands and NOW is the best time to install solar panels in Melbourne and elsewhere in Victoria and reap the benefits of a substantially reduced electricity bill. You’ll love the feeling of self-sufficiency and rejoice in the knowledge you’re producing clean, green energy. With a 5kW solar power system and an energy efficient household, Victorians could easily wipe out their electricity bill*. And with Energy Matters’ lowest ever prices on world-leading brands, there has never been a better time to buy solar panels. Energy Matters also have smaller systems starting at tiny prices – but you’ll need to be quick! Check out our latest specials on solar panels in Melbourne and Victoria or try our no-obligation instant online quote tool to calculate which system is right for you. Victoria is Energy Matters’ home turf. Founded in Melbourne, we have installed around 3000 solar systems across the entire state! Our efforts in the solar revolution were recognised in 2010 when we were named a winner of the Melbourne Awards. Our thorough understanding of government policy and rebates ensures we only offer systems that best suit your needs under the current state legislations. Furthermore, the industry benchmark solar panel mounting system, SunLock, is designed by Energy Matters and manufactured right here in Australia to handle our state’s toughest weather conditions. All other system components such as panels and inverters are sourced from the world’s most reputable suppliers. Our goal is to make going solar simple; so call our friendly, experienced solar power Melbourne team on 133 SUN to discuss your options. Alternatively, you can get an instant, obligation-free solar quote online. Our Melbourne, Victoria branch is located at: 359-361 City Road, Southbank, Victoria – Map directions (Note: please call to arrange an appointment). already saving money by going solar with Energy Matters.